•V-STYLE: Milton V-style, ColorFit V-style, + competitor V couplers/plugs are all compatible! •HIGH FLOW: Provides up to 70% more airflow for optimal power to your air tools and applications. 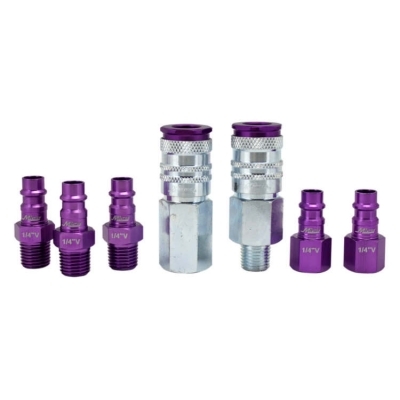 •COLOR: Purple to Purple matching - (V/High Flow) air coupler/plug fittings, easy push to connect.